Directed by Zack Snyder always make a scene DC Comic fans via his Twitter account. First, he uploaded Batman version of Ben Affleck, Henry Cavill as Superman, and Gal Gadot as Wonder Woman. Directed V SUPERMAN BATMAN: DAWN OF JUSTICE This divides one another superhero that will appear in the film. This time it is the turn of Aquaman. "There is only one true king #unitetheseven," Zack wrote on his Twitter. There is also the Aquaman photo camera staring sharply. Aquaman, played by actor from Hawaii, Jason Momoa. Jason Momoa as Khal Drogo previously known in the series Game of Thrones. 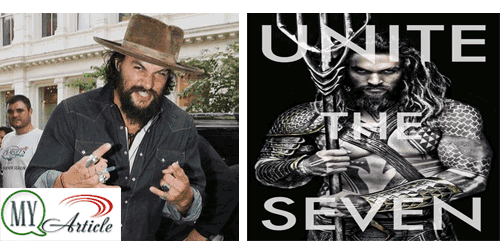 The funny thing ya, media and fans have a lot to suspect earlier that Aquaman will be played by Jason Momoa. But Jason with cool always evasive, though now finally these allegations prove to be true. Aquaman will appear in V SUPERMAN BATMAN: DAWN OF JUSTICE, but it is unclear how much influence in the film which will be released March 25 next year. Long enough to see the action also yes Aquaman together Batman, Superman, and Wonder Woman.